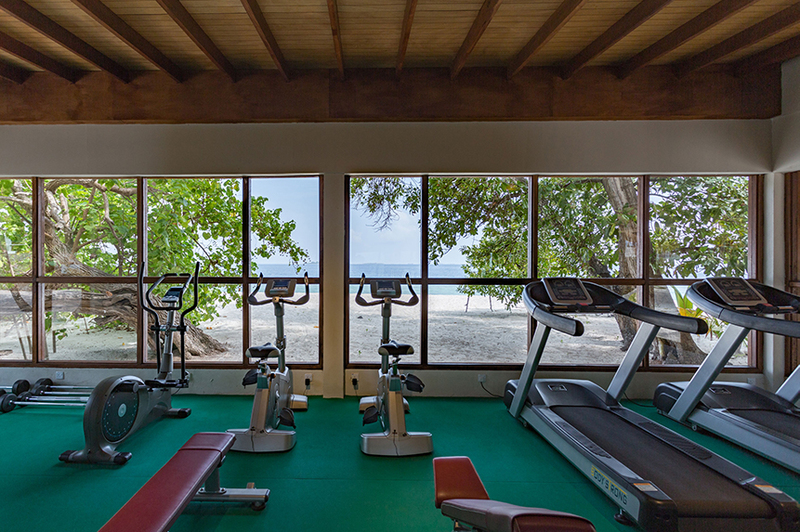 Well-placed in the sports, beaches, romance area of near capital city Malé, Malahini Kuda Bandos Resort provides a most conducive spot for you to take a break from your busy days. From here, guests can enjoy easy access to all that the lively city has to offer. With its convenient location, the hotel offers easy access to the city’s must-see destinations. 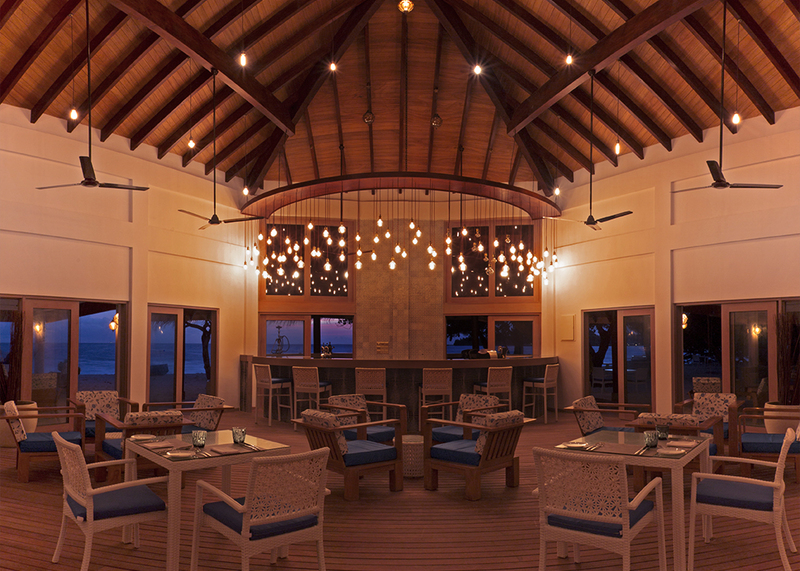 Malahini Kuda Bandos Resort also offers many facilities to enrich your stay in the Maldives. The hotel provides free Wi-Fi in all rooms, 24-hour security, daily housekeeping, fax machine, gift/souvenir shop to ensure our guests the greatest comfort. 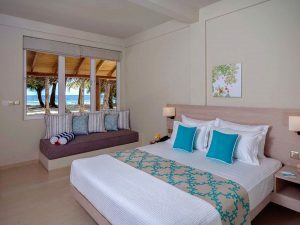 The ambiance of Malahini Kuda Bandos Resort is reflected in every guestroom. 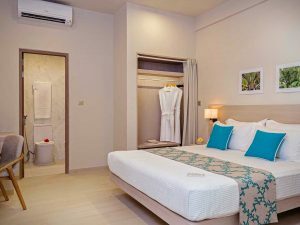 television LCD/plasma screen, complimentary instant coffee, complimentary tea, free welcome drink, linens are just some of the facilities that can be found throughout the property. 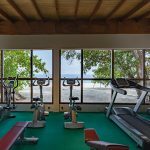 The complete list of recreational facilities is available at the hotel, including boats, canoe, dart board, watersports equipment rentals, wind surfing. 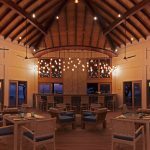 With an ideal location and facilities to match, Malahini Kuda Bandos Resort hits the spot in many ways. Each room is 18 sq m and have the below to ensure that you enjoy a comfortable stay. The room has : King Sized bed, Individually controlled Air-conditioning and Fan, Complimentary Tea and Coffee making facilities, Complimentary 2 bottles of water, Complimentary High-Speed Wifi, Indoor Standing Shower, Hot and Cold Water, Room safe included Telephone with IDD facilities, Bathrobe and Hair Dryer (Free on Request), Mini Bar, Electrical Adaptors, Beach Towels, Iron and Ironing Board upon request, Ocean Inspired Refreshing Bathroom Amenities, Daily Breakfast at Maaga, Over 4000 Newspapers and magazines in your language to download on your smartphone or other device when you sign in to PressReader, Free SUP, Canoe , Windsurf &Paddleboat included in your room rate. Enjoy looking at exotic Banana trees and ferns from our Garden Rooms. 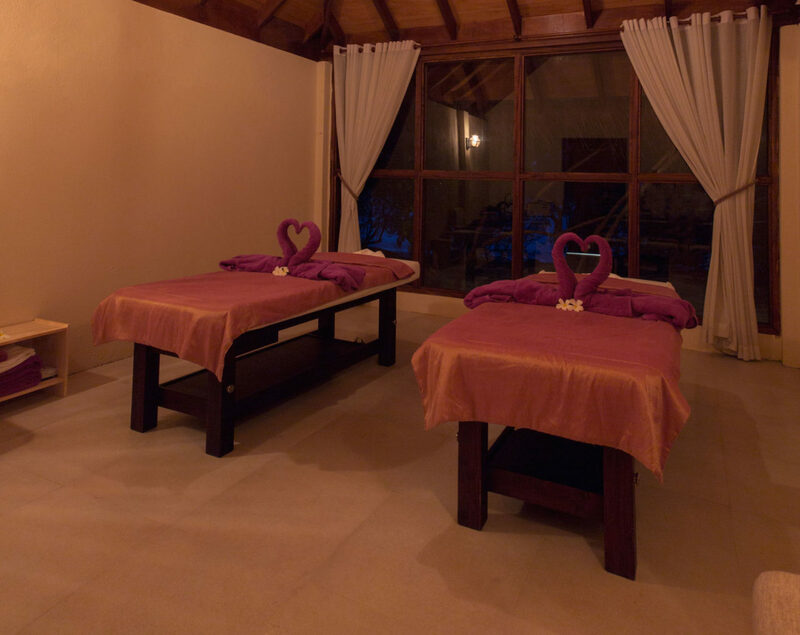 Each room is 22-24 sq m and have the below to ensure that you enjoy a comfortable stay. The room has: King Sized Bed, Extra Sofa Bed, LCD Television, Satellite TV Channels, Individually Controlled Air-Conditioning and Fan, Complimentary Tea and Coffee making facilities, Complimentary 2 bottles of water, Complimentary High-Speed Wifi, Infants Cots upon request, Indoor Standing Shower, Hot and Cold Water, Room safe included, Telephone with IDD facilities, Bathrobe and Hair Dryer (Free on Request), Mini Bar, Electrical Adaptors, Beach Towels, Iron and Ironing Board upon request, Ocean Inspired Refreshing Bathroom Amenities, Daily Breakfast at Maaga, Over 4000 newspaper and magazines in your language to download on your smartphone or other device when you sign in to PressReader, Free SUP, Canoe, Windsurf & Paddleboat included in your room rate. 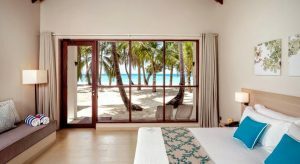 Located above the Deluxe Rooms our Superior Rooms affords sweeping partial views of the Ocean. Each room is 18 sq m and have the below to ensure that you enjoy a comfortable stay. The room has: King sized bed, LCD Television, Satellite TV channels, Individually Controlled Air-Conditioning and fan, Complimentary Tea and Coffee making facilities, Complimentary 2 bottles of water, Complimentary High-Speed Wifi, Indoor Standing Shower, Hot and Cold Water, Room safe included, Telephone with IDD facilities, Bathrobe and Hair Dryer, Mini Bar, Electrical Adaptors, Beach Towels, Iron and Ironing Board upon request, Ocean Inspired Refreshing Bathroom Amenities, Daily Breakfast at Maaga, Over 4000 newspapers and magazines in your language to download on your smartphone or other device when you sign in to PressReader, Free SUP, Cannoe, Windsurf & Paddleboat included in your room rate. 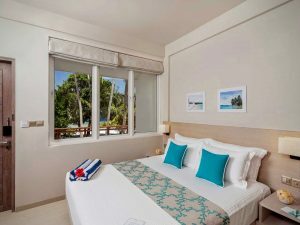 Located along the shore, our Deluxe rooms affords a partial view of the Ocean. Each room is 27 sq m and have the below to ensure that you enjoy a comfortable stay. King Sized Bed, Extra Sofa Bed, LCD Television, Satellite TV Channels, Individually Controlled Air-conditioning and Fan, Complimentary Tea and Coffee making facilities, Complimentary 2 bottles of water, Complimentary High-Speed Wifi, Infant Cots upon request, Indoor Standing Shower, Hot and Cold Water, Room safe included, Telephone with IDD facilities, Bathrobe and Hair Dryer, Mini Bar, Electrical Adaptors, Beach Towels, Iron and Ironing Board upon request, Ocean Inspired Refreshing Bathroom Amenities, Breakfast at Maaga, Over 4000 newspapers and magazines in your language to download on your smartphone or other device when you sign in to PressReader, Free SUP, Canoe, Windsurf & Paddleboat included in your room rate. 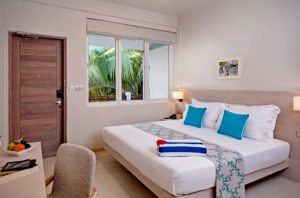 Located along the shoreline our Beach Villas are made for contemporary Beach Front Living with an exotic Open Air Bathroom. 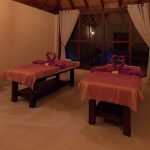 Each individual standing villa is 40 sq m and have the below to ensure that you enjoy a comfortable stay. The room has: King Sized Bed, Extra Sofa Bed, LCD Television, Satellite TV Channels, Individually Controlled Air-conditioning and Fan, Complimentary Tea and Coffee making facilities, Complimentary 2 bottles of water, Complimentary High-Speed Wifi, Infant Cots upon request, Extra rollaway bed upon request, Private Outdoor Standing Rain Shower surrounded with exotic plants, Indoor Standing Shower, Bath Tub, Hot and Cold Water, Room safe included, Telephone with IDD facilities, Bathrobe and Hair Dryer, Mini Bar, Electrical Adaptors, Beach Towels, Iron and Ironing Board upon request, Ocean Inspired Refreshing Bathroom Amenities, Daily Breakfast at Maaga, Over 4000 newspapers and magazines in your language to download on your smartphone or other device when you sign in to PressReader, Free SUP, Canoe, Windsurf & Paddleboat included in your room rate.